After walking into a beautifully set dining room, with the scent of freshly baked teriyaki salmon coming from the commercial kitchen and live music setting a cheerful atmosphere, you’d be forgiven for thinking Dan’s Place is an ordinary pop-up restaurant. Only when you meet the staff do you notice the difference between this food establishment and others in Poway, California. 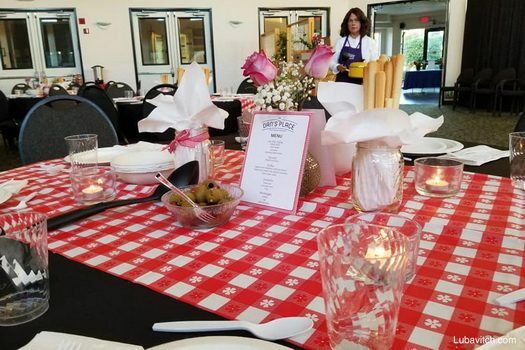 A program by the Friendship Circle of San Diego and directed by Elisheva Green, the restaurant is entirely hosted by adults with special needs. 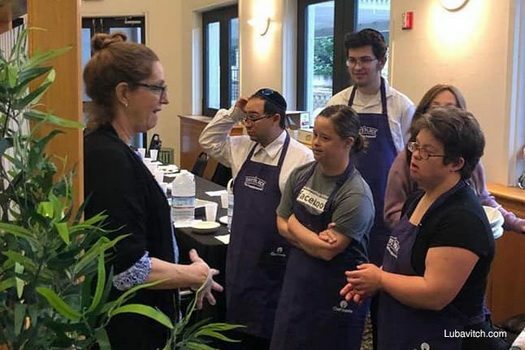 The kosher restaurant, which is open for dinner once a month at Chabad of Poway, is an opportunity for individuals with special needs to learn life skills. Through being responsible for its management, the hosts are taught skills for greeting, serving, cooking,and clearing. Green heads up a staff of volunteers, including executive chef Amy Nisen, who are paired up with each host to help guide and train them. Volunteer creative director Dawne Ellison helped bring the program to life. Among her other duties, she matches the hosts with the task that suits them. “We work with the whole person,” she says. “They each have unique abilities, and they use their strengths to do the job that they can do best.” Ellison sees their skills improve with each event. Each month features a different international theme. 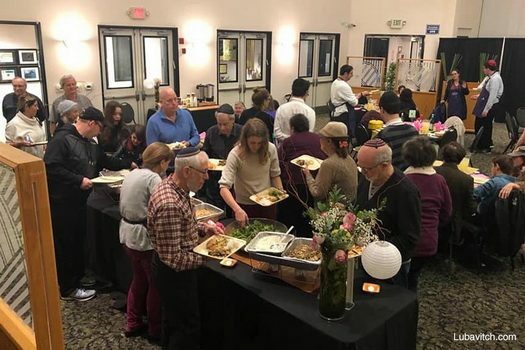 Most recently, sixty people enjoyed three courses of Asian cuisine at the restaurant’s fifth dinner. Seats were sold out, at an $18 flat fee each, just days after reservations opened, and they were forced to turn away hopeful hosts. “There were just not enough jobs for the amount of individuals with special needs who wished to participate,” says Green. “We’re too limited in what we can do right now. 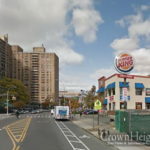 We really have to expand,” she adds. 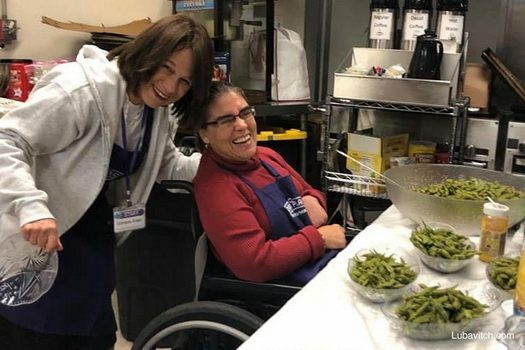 The project is named after Green’s eldest son, Dan, who had partial Trisomy 18 and was the motivation for opening the Friendship Circle fourteen years ago. 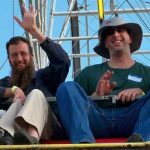 When he tragically passed away while visiting his sister in Belgium, the Friendship Circle brought in a psychologist to help his friends, some of whom had no other friends, deal with the feelings of grief. “But they told us they didn’t want that,” remembers Green. 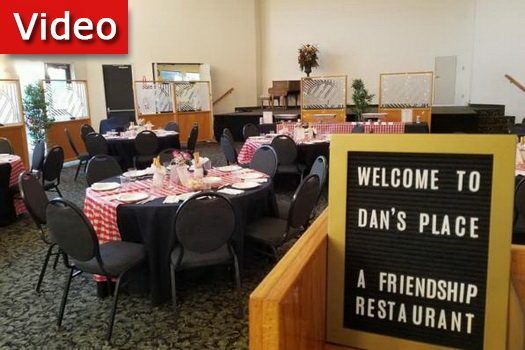 “They said they’d rather do something to continuously remember him by.” Green and the members of Friendship Circle brainstormed about the way they could honor Dan’s forty-six years of life and came up with the idea of the restaurant. We are very proud of you cousin Sender!